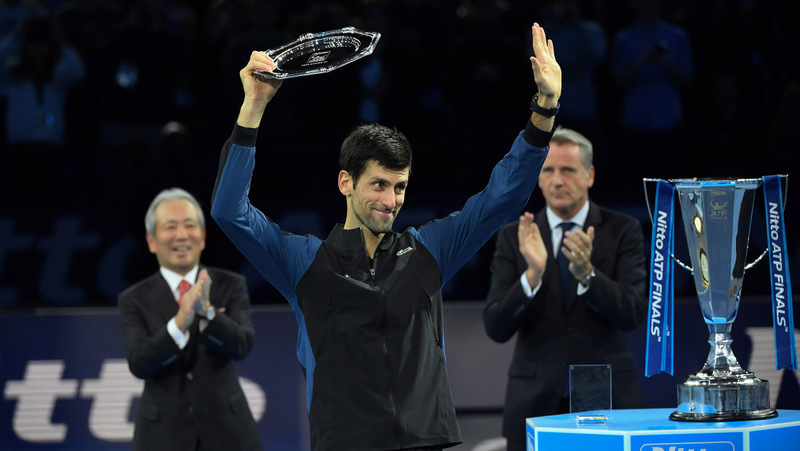 Novak failed in attempt to win a record-tying sixth ATP Finals crown. He finished runner-up at the season finale for the second time. Alexander Zverev earned his biggest career title to date by winning Nitto ATP Finals in London 6-4, 6-3 over five-time former champion Novak Djokovic. The 21-year-old ended Nole’s run of 40 consecutive service holds by breaking the world no.1 three times in a row, four times in total from six opportunities. Djokovic capitalised on only break point he earned during the one hour, 20-minute contest. Zverev showed no fear on Sunday evening. From the first point of the match, the third seed produced amazing level of tennis, and Novak had no solution against him. Alexander broke in the ninth game and consolidated it to take the opening set in 39 minutes. The two had traded breaks early in the second set, before the German converted his chances in the third and ninth games to seal the victory. Match statistics: aces (1-10), double faults (1-3), winners (7-20), unforced errors (18-23), total points won (46-57). Zverev is the youngest champion at the tournament since Novak won it in 2008. The Serbian star was also crowned four years in a row from 2012 to 2015. Novak made a tremendous rise in the second half of 2018 and impressive return to world no.1. He underwent elbow surgery in January and was ranked no.22 in June. In 2018 Nole won four titles – Wimbledon and the US Open, and ATP World Tour Masters 1000 crowns in Cincinnati and Shanghai. Djokovic will kick off his 2019 season at the Qatar ExxonMobil Open in Doha (December 31 – January 5). It will be Novak’s fourth appearance at the ATP 250 tournament, where he was champion in 2016 and 2017. He did not play at the event in 2018. Ahead of the ATP event in Doha, Novak will take part in the Mubadala World Tennis Championship in Abu Dhabi on December 28 and 29. He will face either Karen Khachanov or Dominic Thiem in the semi-finals, and then depending on the outcome of the encounter, he will contest a final or a third place match. You can download Nole December desktop calendar here.